Dave & Ethan launch a podcast! Dave “Elvis” Rossi & Ethan Ullman are two of the biggest Weird Al fans in the world! You may recognize Dave as the fan who was the driving force behind the campaign to get Al the Star on the Hollywood Walk of Fame and raised the necessary $40,000 to pay for it! He is also known for his extensive Weird Al collection, his Weird Al tattoos, and soon will be known for this podcast! Ethan is amassing an impressive Weird Al collection of his own, as well as spending time as a comedian and comedy radio show host – having interviewed Jimmy Fallon, Tracy Morgan, Marc Maron, Kate Flannery, Awkwafina, Margaret Cho, and even Weird Al himself! Dave and Ethan constantly talk about Weird Al for hours at a time. It’s not unusual for them to be on the phone discussing Al into the wee hours of the morning, so it was kind of a natural progression to start up a podcast. Their conversations would be fun for anyone with the appropriate level of nerdiness, and they want to share them with you. And as much as this podcast is an outlet for Dave and Ethan, it’s meant to be one for you, too. Our goal is not only to entertain you, but also to engage you in conversation! Please support us on Indiegogo! Yeah, we know, it’s lame to ask for money on the internet. But we’re not taking the decision to raise funds lightly. We are both passionate fans, and would do pretty much anything for Al. However, there are costs involved with putting on a weekly podcast. Besides paying off our professionally recorded podcast theme and professionally drawn podcast logo, there is equipment that we need to purchase to make our podcast sound great, and fees associated with hosting and streaming the podcast to you. We are happy to absorb some of these costs ourselves, but it does add up. And for those who are able to help, we have some amazing perks to share with you! If you are able, please visit our Indiegogo site here. We are accepting donations between now and June 14. Every bit helps. Thank you! 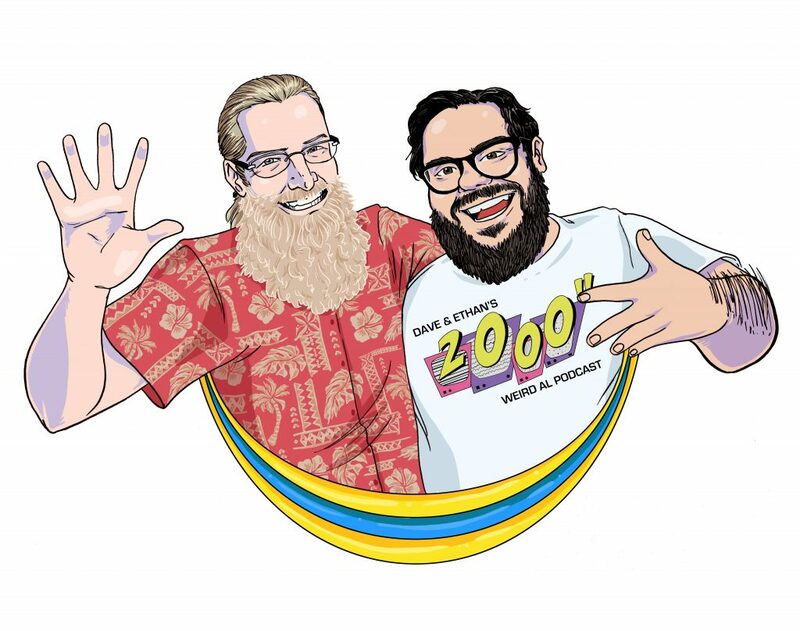 The mission of Dave & Ethan’s 2000″ Weird Al Podcast is to provide an entertaining weekly podcast based around “Weird Al” Yankovic and his fandom through fun interviews and engaging discussions. Dave & Ethan came up for the idea for a Weird Al Podcast while waiting in line together at the Coffee Bean on San Vicente Boulevard. They both ordered soy decaf hazelnut lattes. Ethan was on a cell phone call with his mother.